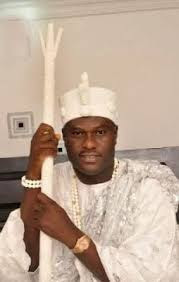 Onni of Ife, Ooni Adeyeye Ogunwusi has singned agreement with research institute on alternative trado-medical treatment. The agreement was signed in the premises of the institute during a conference Ooni Ogunwusi addressed in the presence of some notable royal fathers from South West Nigeria, as well as Yoruba traditional medical experts from the country. A statement by the media aid to Ooni, Moses Olafare said the research institute located in Fiocruz-Bairro Manguinh, Rio de Janeiro, has as parts of its core mandate to research into contemporary health issues among Brazilians and globally, and come up with solutions. Speaking shortly after signing the agreement, Ooni Ogunwusi, said the earlier the rest of the world embrace the traditional medical solutions to contemporary health challenges, the better for humanity. He said all today’s health challenges facing the world were also witnessed by the older generations and declared that solutions applied to the health issues by the progenitors of the Yoruba race that time, that made them live in sound health till old age are still very relevant in dealing with many of today’s health issues. According to the royal father, “I am a testimony of the efficacy and potency of Yoruba herbal products. Since I ascended the throne, I have not used orthodox medicine to treat myself, whenever I feel it is necessary to do so. “God created herbs for us to use to deal with our health challenges. We have dieties in charge of all major creations of God. And we these deities relied on roots and herbs to treat ailments. “The powers of these deities are still very potent. But we should not look down on them or treat them with disdain. We must turn to all these beautiful gifts of God to solve our health challenges. My intention is to tell the world that we have trado-medical solutions to all health challenges plaguing mankind and that is what this agreement is all about. “Let us stop discrimination against African medicine and traditional religion. If we all belief in one God, then we should not discriminate. Let’s tolerate ourselves. We should stop discrimination. We all belong to one God irrespective of our colour. “To ensure workability of the agreement, we have put in place a group comprising trado-medical experts from Nigeria and those from the institute. Through the agreement, we can bring in our traditional medical solutions to solve health challenges here in Brazil,” Ooni concluded. Speaking earlier, the vice president of the institute, Marcos Menezes, said the institute is at the vanguard of campaign against religious intolerance. “This conference is important as, it presents us opportunity to explore traditional means to solve health challenges of facing humanity. We belief the agreement is coming at the right time.” Commenting on the significance of the agreement to trado-medicine practice in Nigeria and Brazil, the Chief Executive Officer of Yemken International, a trado-medical company, Chief Akintunde Ayeni, who was represented by his son Ayeni Christopher, said Ooni has found a new market for Nigeria’s traditional herbal products in Brazil. Ayeni added that apart from the foreign exchange the business agreement would earn Nigeria, it would also affect life of individual practitioner that would rely on the agreement to sell herbal products in Brazil.